As kitchens have evolved, they’ve become much more than just a place to prepare meals. A well designed kitchen is a pleasure to work in. Blending style and functionality, beauty with accessibility, no other place in the home can do so much. Whether preparing a gourmet meal for that special someone, entertaining a group of rowdy coworkers, or as a sanctuary for doing homework, the kitchen is always one of the most used rooms in the home. 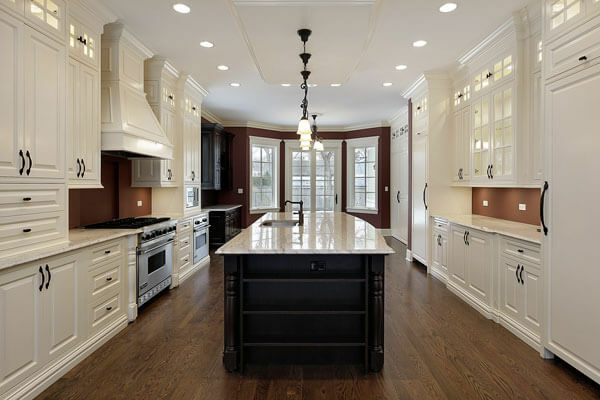 At Records Custom Cabinets and Trim, we know that much is asked of a kitchen, and we know that each of our clients has different needs and priorities. 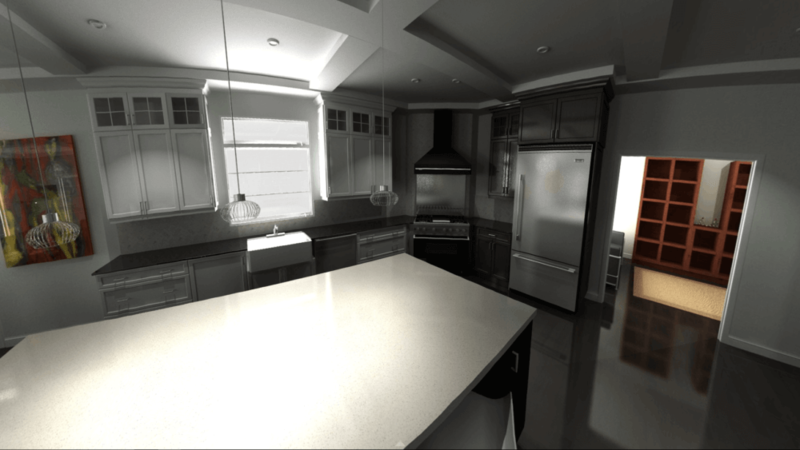 We take the time to carefully analyze your wants, needs and budget, then we meticulously design your kitchen from the ground up, utilizing our sophisticated 3D modeling software. The result is an aesthetically stunning, well thought out custom kitchen with a flowing work area, effective food preparation areas, tons of useful storage and ample space for entertaining. We take in whatever your needs are and consider all options. Have you taken time to consider a kitchen faucet, sink, and drying rack incorporated into the countertop? Or are you happy to with a metal sink area? These are all things you need to consider to make your perfect kitchen. Our kitchen cabinet building process is a labor of love. 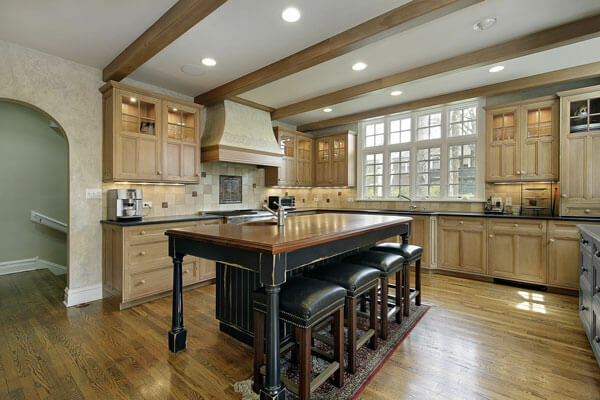 Once your kitchen design is approved, our talented craftsmen build your custom kitchen cabinetry to precise specifications using the highest quality lumber and components. To begin, your casework is carefully cut and drilled using highly accurate, specialized CNC equipment. Each cabinet box is assembled by hand and each joint is securely nailed and screwed together for superior strength (We don’t use hot glue to hold our cabinets together like the other guys!). Next, each piece of wood for the frame of the cabinet and the doors is hand selected and matched for consistency, beauty and character. The cabinet frame is then assembled by hand and joined together with advanced joinery methods. Finally, the cabinet frame is merged with the cabinet box and our muti-stage sanding and finishing process begins. Once complete, our cabinetry is ready to send to the jobsite for installation and final assembly. Finally, after installation, we install the soft closing premium drawer guides, soft closing hinges, doors and drawer fronts. 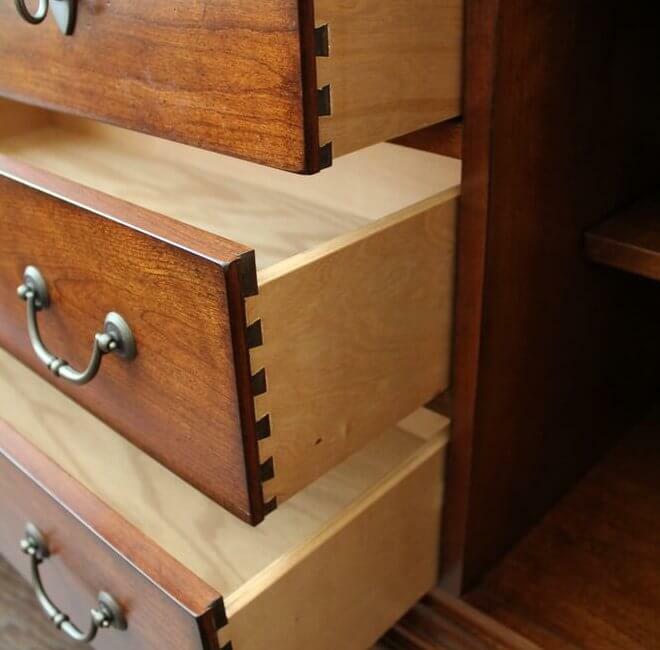 By installing the drawers and doors last, we reduce the risk of damage to the doors and drawer fronts during the cabinet installation process, insuring you a flawless finished product. 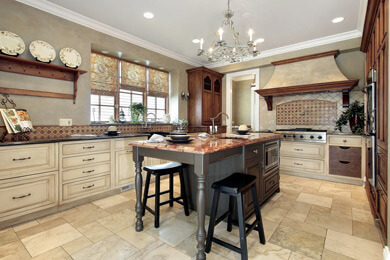 Our fine custom built kitchen cabinetry is beautiful, handmade and built to last a lifetime. 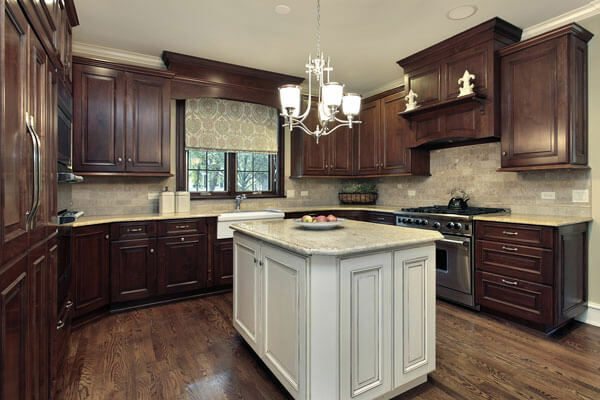 At Records Custom Cabinets and Trim, we take great pride in our ability to take your custom kitchen from concept and 3D design, all the way through custom cabinet construction, installation and finishing. Our “hands on” approach minimizes delays in the construction process and helps to insure that our strict quality standards are met on each and every job. 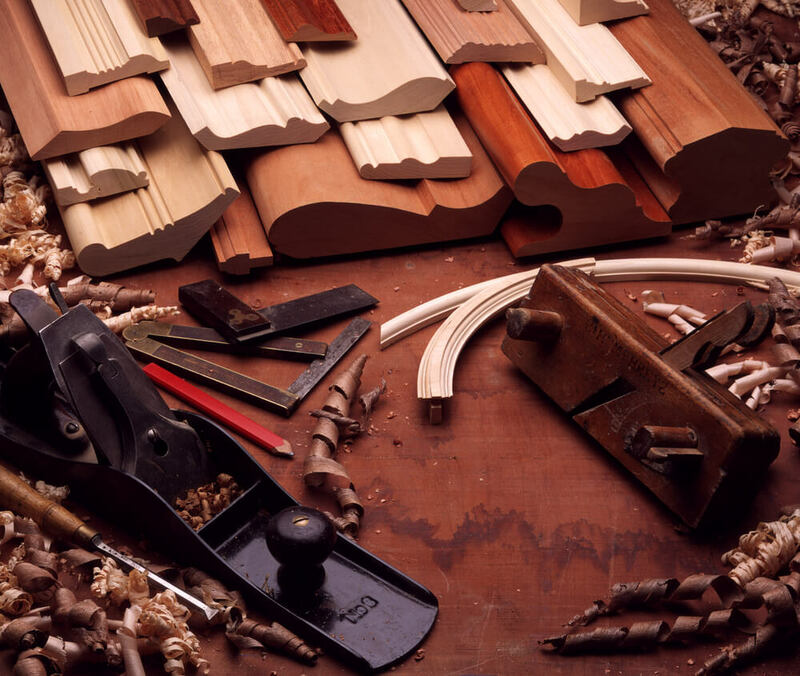 Since we build all of our custom cabinetry by hand, we can integrate a wide variety of specialized storage solutions. 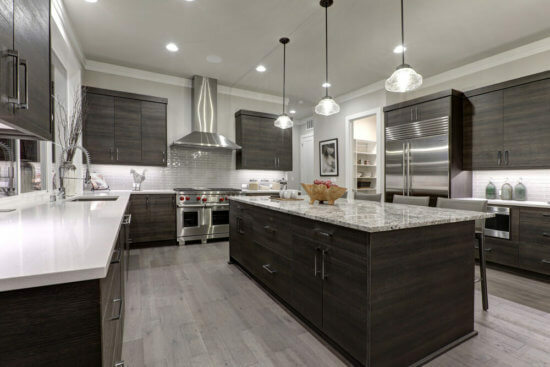 From lifts to raise and lower a heavy stand mixer to the countertop, to built in trash and recycling bins, we can accessorize your cabinetry with all the latest gadgetry and components. Solid wood dovetailed drawers, roll out shelves, lazy Susans, custom range hoods and walk-in pantries are just a few more of the custom touches we can build into the kitchen of your dreams. The combination of our first class service, exceptional design, quality components and extraordinary value, yield a kitchen that looks as good as it functions! Need some inspiration for your kitchen remodel? Want to know about some of the latest kitchen trends, tech and gadgets? Check out our blog, here! If you love the look of a well designed custom range hood, you’re in luck! We design and build lots of custom range hoods in countless styles, shapes and finishes. Whether you desire a traditionally styled range hood or a custom hood that is contemporary and modern, we can help. Our unique range hoods are built with the same care and attention that we dedicate to our custom cabinetry, so you are assured an aesthetically stunning, highly functional, kitchen centerpiece. We work closely with local appliance dealers and can recommend appropriately sized vent motors that are quiet, efficient and quite attractive. Call us today to discuss your new cooktop venting system and all the beautiful options available! 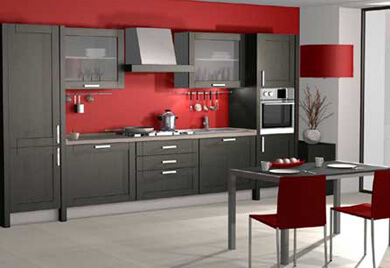 Having a hard time picturing what your new or remodeled kitchen might look like in your space? 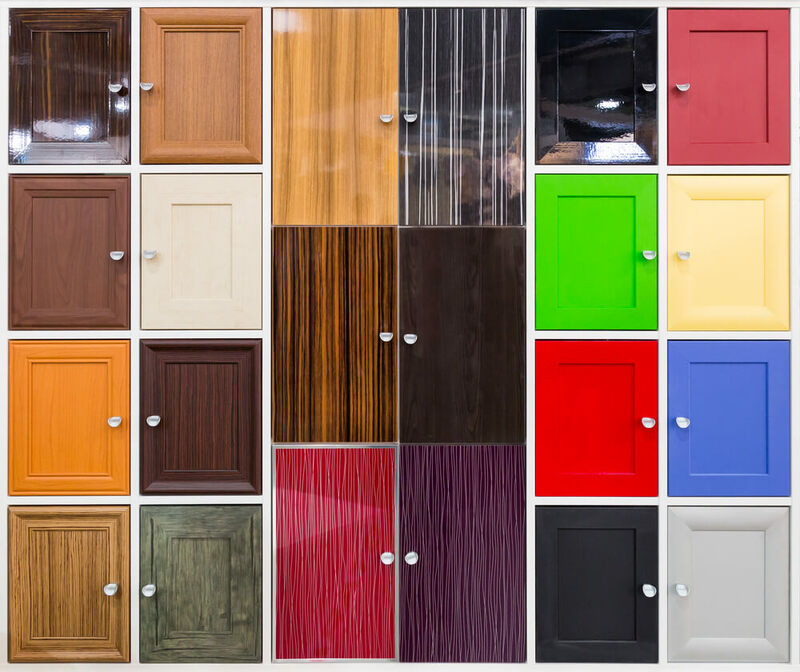 Not sure if your new custom built cabinets would look better in maple, cherry or walnut? Our 3D computerized design service can help! 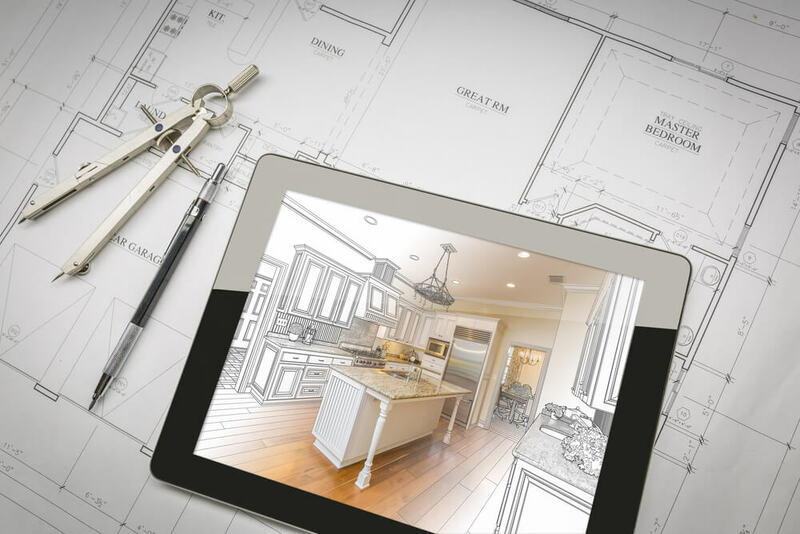 We can design your custom kitchen cabinetry with our cutting edge software and depict your custom kitchen cabinets, built in pantry, island bar and custom range hood virtually, allowing you to see an accurate representation of the finished product before the first piece of lumber is even cut! 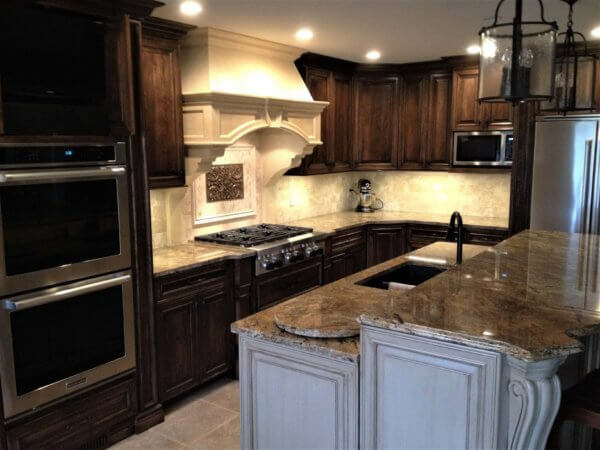 Call us today at (316)733-6800 or contact us online to speak with one of our project managers about your custom kitchen cabinetry or kitchen remodeling needs.